Old Trafford side look to bring in third signing of the summer. 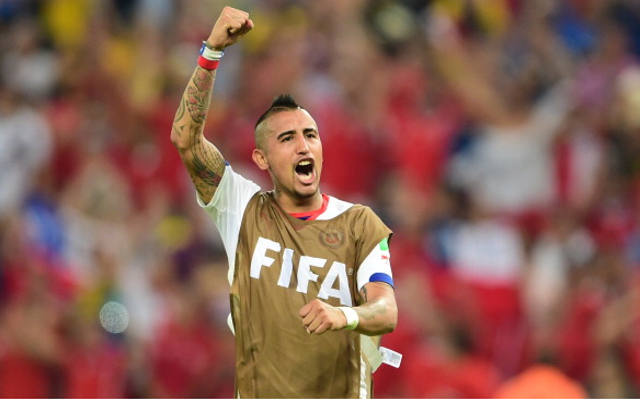 Having announced the double signings of Ander Herrera and Luke Shaw Man United are now readying a bid for a third target with the Daily Mail claiming a bid for Chile international Arturo Vidal is imminent. Man United have made their interest in the 27 year old known and are set to test the resolve of his Serie A side Juventus with a bid for the attacking midfielder in the offing. Incoming Old Trafford boss Louis van Gaal attempted to sign Vidal during his tenure as Bayern Munich boss and former manager David Moyes is said to have seen a move last summer turned down by the Italian giants. Man United feel a bid in excess of £30m might tempt Juventus into cashing in on the former Bayer Leverkusen man, who has helped his Turin based side to three Serie A titles in his three seasons at the club. Van Gaal is clearly aware that his midfield options are thin on the ground and though the Dutchman has already brought in Spaniard Herrera he still needs to consider further investment in this area of his squad. Vidal offers a real attacking threat and weighs in with a good number of goals and assists, attributes the likes of Tom Cleverley, Darren Fletcher, Marouane Fellaini and Micheal Carrick clearly lack.